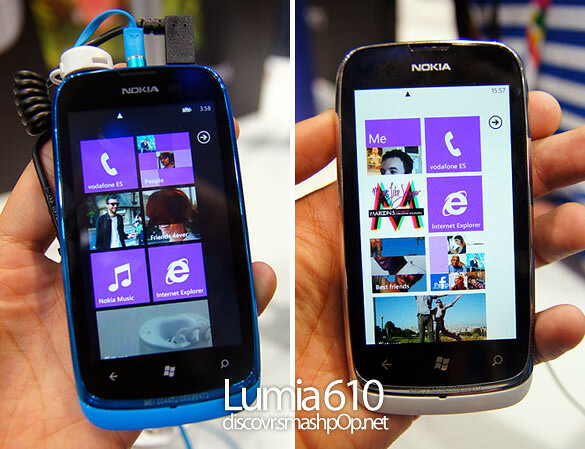 Nokia Lumia 610 Windows Phone Now Available In Malaysia! Back in February, Nokia announced the Lumia 610 at Mobile World Congress in Barcelona, touting it to be the most affordable Windows Phone in their Lumia line of devices, targeted at youngsters who want a smartphone with an affordable price. It has a 3.7” WVGA (800×480) LCD, 800 Mhz Single Core/Qualcomm Snapdragon S1, 256MB RAM memory and 8GB of internal storage. 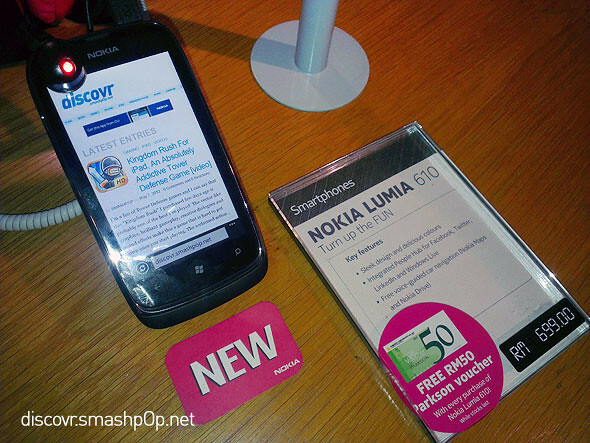 So yesterday we made a trip to a Nokia Center nearby to check out the availability of the Lumia 610 and yes, it is now available for purchase in Malaysia! The RRP is RM699 and comes with an RM50 Parkson voucher with every purchase. Here’s a hands-on preview video I recorded while I was in Barcelona 2 months ago.